To add a new folder, click + Add folder. 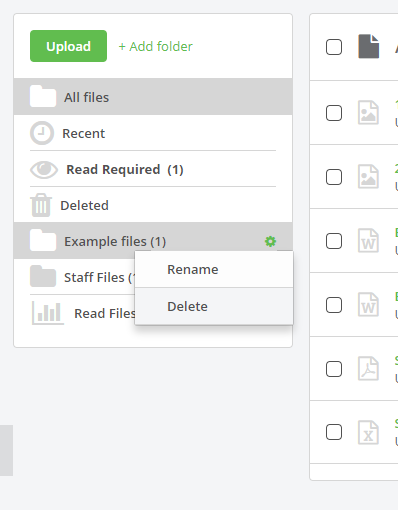 This will prompt a new dialog box to appear which will allow you to create a new folder. Once you have entered the Name of new folder, click Save. 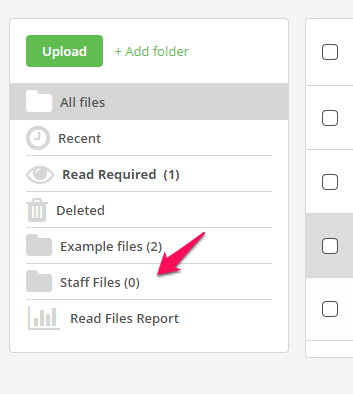 Hover over the file you wish to move into a folder and click on the green cog icon to the far right of the screen. Clicking Move will prompt a new dialog box to appear. 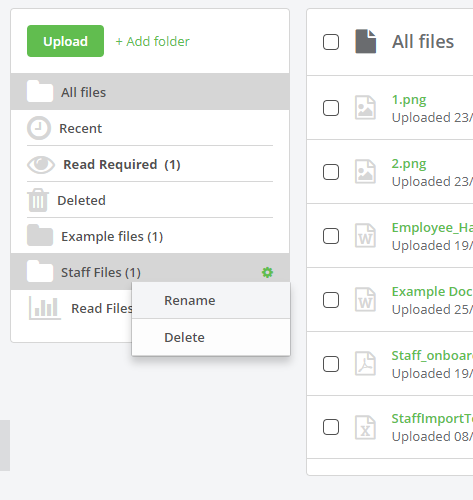 From the dropdown, select the folder you would like to assign the file to and click Move. You will then be able to view the files in this folder by clicking the folder name in the folder list. 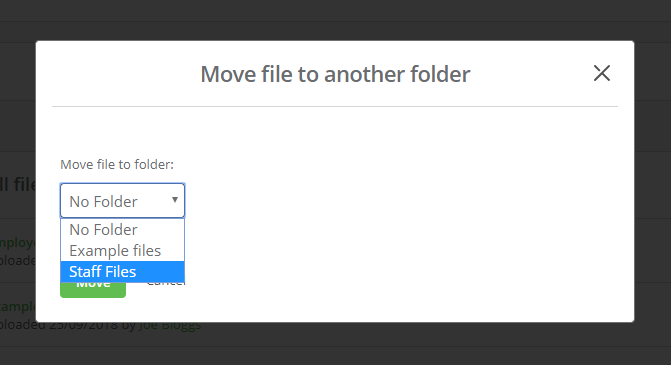 In order to remove files from a folder, follow the above process and select No Folder in the dropdown. This will remove the file from the folder so that it's only visible in All files. Within the folder list, hover over the folder you wish to rename and click the green cog. Clicking Rename will prompt a new dialog box to appear. Here you can rename the file accordingly. Within the folder list, hover over the folder you wish to delete and click the green cog. Clicking Delete will prompt a new dialog box to appear. You can then confirm the deletion. NB: This will also delete all the files in the folder.